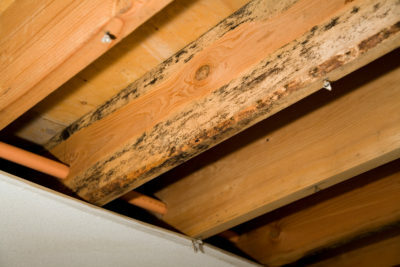 Mold is an ugly, often toxic invader of your property. If you experience a flooding event of any kind – a burst or leaking pipe, storm runoff, an overflowed river, stream, lake or ocean tides – whatever the cause, your property, and your health, are at risk. And it doesn’t have to be a huge flood. 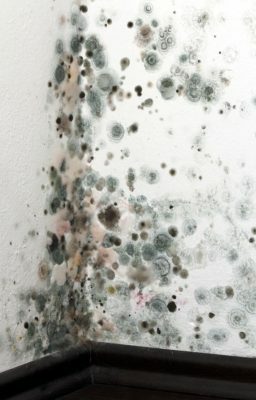 Mold can start growing in as little as 48-72 hours after any moisture touches a food source – like wood, insulation, paper, carpet, etc.Sometimes the mold is clearly visible, and it can be quite upsetting. Sometimes no mold is visible, but it can still be there growing out of sight behind walls or under floor boards – a hidden danger to your property and to the health of everyone in the building. 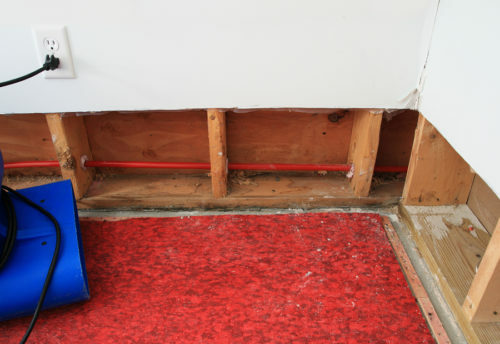 When a water intrusion occurs, don’t take chances. Don’t try to deal with the cleanup yourself. Call a professional restoration company that knows how to deal with all the threats beyond visible damage to building and contents. There is so much more to be concerned about that can be hidden from view. Call the CRM Services Restoration PROS immediately. Reaction time to a flooding event is absolutely critical. That’s why we have Emergency Response Teams on call 24/7/365 that can be at your property usually within one hour of your call, depending on your location and the scope of resources needed to address your specific issues. Every step of the mold remediation process is conducted by our IICRC Certified Professionals following strict IICRC remediation standards – no compromises. We are proud to say that we have never had a call-back after a water intrusion event with the complaint of mold growth. We do it right the first time. Our mold specialists use advanced equipment to seek out mold colonies – even if they’re hidden out of sight. Plus we seek out hidden pockets of moisture where, unaddressed, mold will germinate and grow to produce a hidden hazard to property and health. 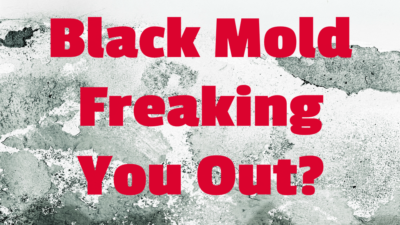 Sometimes toxic black mold is clearly visible and the risk is obvious. But sometimes environmental testing to identify mold dangers to materials and/or air quality is required to thoroughly assess the hazards. We bring in mold testing specialists to conduct the tests and submit to certified labs for a thorough report of risks. When mold is found, we immediately remove mold with specialized equipment and chemicals to not only eliminate the mold colonies that are there, but also to ensure the mold will not return. CRM Services is a full-service construction company with the expertise and experience to repair any damage, and restore your property to pre-loss condition – carpentry, plumbing, insulation, sheetrock, electrical, flooring, carpeting, landscaping – whatever it takes. Don’t try to make addressing mold issues a Do-It-Yourself project. There are too many risks – and the chances of reoccurrance are high. Call the CRM Services Restoration PROS. For a Free, No-Obligation, No-Hassle Estimate, call 678-540-8606 24/7/365… or click on the LIVE CHAT button in the corner of this page for 24/7/365 assistance.